Robert Scott: Well, I do have a certain fascination and love of our native birds. 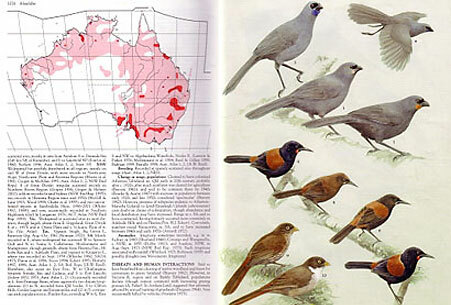 I try and paint them, too, and Handbook Of Australian, New Zealand & Antarctic Birds is very useful for this, as it is quite tricky getting out to draw them in the wild. I have made a few three-meter-tall moas, suitable for the garden. Other favorites are the takahe, kokako and kaka.